Twenty-first century socialism needs a critique of cities. Why don’t we ask ourselves whether these monsters in which most of us live – at the same time awful and wonderful – will survive in a communist future? We might question the assumptions in much twentieth-century socialist thinking that cities are a necessary part of human development … and revive and rethink nineteenth-century communist ideas that envisaged communism breaking down the division between city and countryside. This article sets out some ideas on this, and aims to put in context a prescient article on this subject written by Amadeo Bordiga, the Italian left communist, in 1952 – which People & Nature publishes here in a new English translation for the first time. The rise of the city is one of capitalism’s most obvious achievements. In 1800, the urban population was 3% of the world’s total population (27 million people); in 1900, it was 14% (225 million); and in 2000 it was 47% (2.9 billion). In this decade, the majority of humans – in 2010, 50.5% (3.5 billion) people – are living in urban areas for the first time, according to a recent UN report. Most urban growth over the last quarter of a century has been in developing countries, giving rise to sprawling mega-slums that dwarf the largest cities of nineteenth- and early twentieth-century Europe. 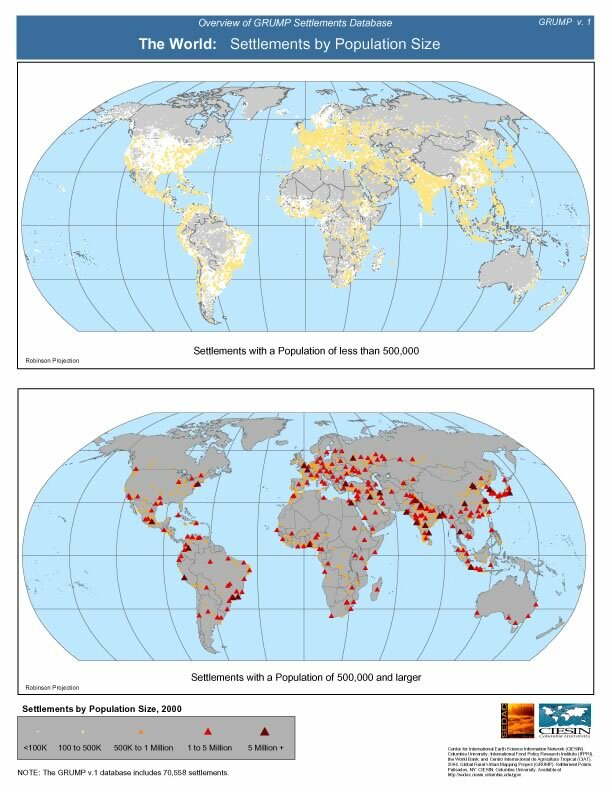 Since 1970, Davis writes, the growth of slums has outpaced urbanisation as such. “Africa’s slums are growing at twice the speed of the continent’s exploding cities. Indeed, an incredible 85% of Kenya’s population growth between 1989 and 1999 was absorbed in the fetid, densely packed slums of Nairobi and Mombasa.” Since Davis’s book was published in 2006, the credit squeeze and the resulting economic slump has reversed the effect somewhat, forcing tens of millions of migrant workers in developing countries back to the countryside. There’s surely no doubt that socialism will be the negation of this sort of capitalist “development”, that condemns tens of millions of human beings to a marginal existence, without either land on which to subsist, or jobs or any obvious steady means of livelihood. But we need a critique that goes deeper. 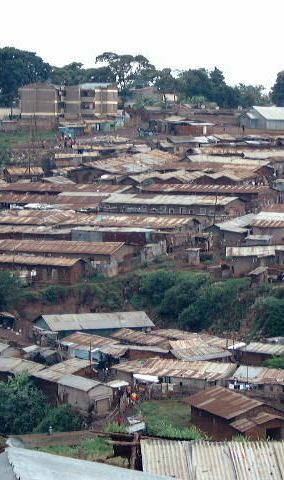 Is there an urbanisation-plus-industrialisation alternative that would be preferable to the proliferation of slums? That surely locks us into a narrative of capitalist “economic growth” that we should be subverting. Socialism means, in the first place, the prospect not necessarily of an increase in the quantity of industrial products, but of an increase in humans’ prosperity and happiness. That involves different production of different stuff, organised differently and with constantly improving technology –put to different uses and distributed differently than it is under capitalism. It was an underlying assumption of much twentieth-century socialist thought that increasing prosperity implies further industrialisation or urbanisation. That assumption now needs to be questioned. There’s much to learn here from the nineteenth-century socialists. One place to start is the last chapter of the Communist Manifesto (1847), in which its authors, Karl Marx and Friedrich Engels, set out a programme for “the first step in the revolution by the working class”, that would “raise the proletariat to the position of ruling class, to win the battle of democracy”. The proletariat will use its political supremacy “to wrest, by degrees, all capital from the bourgeoisie, to centralise all instruments of production in the hands of the state, i.e. the proletariat organised as the ruling class, and to increase the total of productive forces as rapidly as possible”. This part of the Manifesto is outdated, in my view. The experience of twentieth-century revolutions has shown the incredible difficulties that go with “centralising all instruments of production in the hands of the state”. Such “workers’ states” have turned out every time not to be “the proletariat organised as the ruling class” as Marx and Engels had hoped, but a monstrous perversion that recreated the hierarchy and alienation of old. Marx and Engels would hardly write this passage the same way today. It’s fair to speculate that they would rethink, and put greater emphasis on, the way in which “the public power will lose its political character” (a crucial phrase they use on the next page of their text) – i.e. the way that the state will be superceded. Given the dizzying expansion of capitalist industry since 1847 – and the invention of electricity, of fossil-fuel-fired power, of motorised transport, computers, and so on – I reckon they would also have second thoughts about the need to “increase the total of productive forces as rapidly as possible”. Number 8 is problematic, to me. The worst authoritarians in the nineteenth century socialist movement latched on to such talk of “industrial armies”. The right-wing American socialist Edward Bellamy imagined such armies, supervised by a hierarchy of “elders”, in his novel Looking Backwards. The riposte of the nineteenth-century libertarian socialist William Morris is worth quoting: “If they brigaded me into a regiment of workers, I’d just lie on my back and kick.” Whatever labour is needed in a socialist society can be collectively organised without such regimentation. In contrast, I’m keen on no. 9. The “more equable distribution of the population over the country” surely speaks to the slum-ridden twenty-first century. And the “combination of agriculture with manufacturing industries” did not mean to the nineteenth-century communists anything resembling the industrial agriculture produced by twentieth-century capitalism. They were envisaging ways to supercede the damage done by nineteenth-century urbanisation, that forcibly separated the poor rural population from the land in order to provide labour for manufacturing. 1. In the capitalist countries, social-democratic and communist parties and trade unions focused on the alienation of the product of (urban) workers’ labour from those workers, and on organising those workers to improve their pay and conditions. Other aspects of alienation that Marx wrote about – of people from each other, and of people from the natural environment with which they interact through labour – barely figured in socialist ideology. 2. In the Soviet Union that was established after the Russian revolution, the Bolshevik leaders prioritised industrialisation above everything else. After the civil war, the discussions that raged on economic policy concerned the speed at which it could be accomplished and the extent to which the countryside could be made to bear the burden. In this enormous agricultural country, in which agrarian development was stunted by a chronic shortage of tractors and other machinery, these were life and death questions. The Stalinist brutes who took over from the first generation of Bolshevik leaders “solved” these problems with forced collectivisation and industrialisation. This brought horrendous famines and hardship. But Bolshevik ideology didn’t help: it had glorified the industrial worker (provided s/he didn’t want to participate actively in political decision-making and didn’t organise strikes) and regarded the “petty bourgeois” peasantry as inferior both in terms of consciousness and position in building a new society. Chinese Maoism had a social base much more strongly slanted towards the countryside – and yet its industrialising “great leap forward” also produced famines. They dwarfed even those of the Soviet 1930s or indeed almost any others in world history. The Bolsheviks had no doubts or reservations about the Communist Manifesto’s imperative to “increase the total of productive forces as rapidly as possible”. And they influenced many “socialist” and “national liberation” movements in developing countries for many decades afterwards. In a world where industrialisation and urbanisation transformed millions of people’s lives in often positive ways – by raising living standards, life expectancy and literacy, and so on – the logic was powerful. But the parameters have changed since the Bolsheviks were around. Firstly, they took power in a country that was 85-90% rural: today, even the poorest countries of Africa – to say nothing of India, China and Latin America – generally have a higher level of urbanisation and, of course, infinitely superior technology. Secondly, capitalism’s inequalities mean that even today, millions of people in some countries face scarcities (of food, medicines, transport, etc) as bad as those that plagued the early Soviet Union – but the technological means of resolving these problems are also much closer to hand. Thirdly, the more that generations of workers have settled in cities, the more the damaging effects of alienated labour in capitalist industry, combined with cramped urban living artificially divorced from the countryside, have become clearer. It is Bordiga’s attempt to think about these realities of capitalist cities that gives topicality to his article The Human Species and the Earth’s Crust, written in the aftermath of the second world war and a decade before the dawn of environmentalism. The text is quite demanding for the present-day reader: Bordiga starts with state financing of infrastructure projects that benefit private capital, moves on to Marx’s critique of the philosopher Georg Hegel’s writings on the relation of humans to the earth and landed property, and concludes with his discussion of cities. Bordiga’s dense style, sometimes obscure metaphors and tasteless joke about industrial disposal of corpses don’t help. Nevertheless, reading the piece pays dividends. Bordiga considers urban development as part of capitalism’s “solution” – “not civilised and perfect but insane and monstrous” – of the problem of how humans might live in their natural environment. He roots his scathing denunciation of city life in Marx’s work on land and property, and recalls what Engels wrote on the issue in his pamphlet The Housing Question. Bordiga, who spent most of his life as a political activist but was well-read in the natural sciences, also discusses the emphasis place by Marx and Engels on the disruption to the nitrogen cycle caused by urban development. Simply put, the harvest of foodstuffs in the countryside and their transport to cities to feed urban populations amounts to a major transfer of nitrogenous nutrients out of the earth. Since the waste produced by urban humans is then usually transferred via sewage systems and freshwater systems to the bottom of the ocean, an effectively permanent loss of nutrients results. History has moved on – although probably not for the better – in this respect, too. The invention of chemical fertilisers, that are poured in ever-increasing quantities into the earth by capitalist industrial agriculture, means that while some land is still being starved of nutrients, much greater areas are excessively force-fed with them. The dangers implicit in the unsustainable use of these fertilisers in industrial agriculture, concerns about the falling rate of agricultural productivity gains as the volumes of fertiliser spiral upward, and alarm at the poisoning of bodies of freshwater by excess fertiliser are all subjects of intense discussion among agronomists. We socialists would probably benefit from paying greater attention to this. • Think about how communism will tackle these issues, bearing in mind the technological leaps forward made since Bordiga’s time, let alone since Marx and Engels’s time. GL. Clive Ponting, A New Green History of the World (London, Vintage Books, 2007), pp. 294-295; UN Department of Economic and Social Affairs, Population Distribution, Urbanization, Internal Migration and Development: An International Perspective (2011). There is also a great deal of detailed information in the UN’s State of the World’s Cities reports, downloadable here. Mike Davis, Planet of Slums (London, Verso, 2006), p. 16. Morris was quoted by Hal Draper in The Two Souls of Socialism. There is an interesting article about Morris’s reaction to Bellamy, which also quotes this statement, on the William Morris society site here. There is a full discussion of Marx’s writings on Liebig and the nitrogen cycle in John Bellamy Foster, Marx’s Ecology: materialism and nature (New York, Monthly Review Press, 2000), chapter 5. This entry was posted on Sunday, April 1st, 2012 at 11:58 am and is filed under Agriculture and agrarian change, Cities. You can follow any responses to this entry through the RSS 2.0 feed. You can leave a response, or trackback from your own site. Regarding the “industrial armies for agriculture” – the problem is that collective regulation of this sector necessarily implies some kind of labour compulsion, otherwise harvests rot uncollected and famine ensues. In time, compulsion will take a purely moral, customary, or cultural form, but such forms take a long time to become fully established. Meanwhile, socialists need to develop a system that is as fair, flexible, and rational as possible, without kidding ourselves (or anyone else) that this vital sector can ever rely on purely voluntary labour. “Industrial armies” need not be anything sinister or oppressive. They could be as simple as (this is just one example) well-organized groups of college and high school students who spend one month of the year giving back to society and learning new technical and cooperative skills through harvesting and other seasonal agricultural work.